Snowboard-cross and ski-cross races are won, more often than not, by the racer who gets an edge out of the start gate and down the first section of the course. So the Perisher grooming fleet has sculpted a series of jumps and turns identical to the Cypress Mountain course, focusing in particular on that critical opening section. The work on the Perisher course has been supervised by Canadian John Balfour, who was the assistant designer for the Vancouver Games course. The resort has accumulated 15cm (six inches) of new snow since the start of August and forecasters are calling 5-10cm (2-4 inches) of new snowfalls this week. Plus, another front is expected to hit around the 16th August bring serious snowfalls of up to 20cm (eight inches). Mt Hotham has reported a, "crazy weather week ...we've seen it all, from sun to wind, to wet conditions and now... it's snowing!" said a recent resort statement. 12cm (five inches) of new snow has fallen across Hotham in the past week. 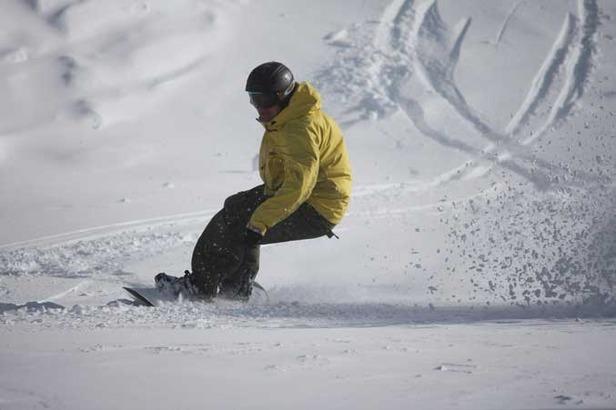 The average natural snowdepth is currently 81cm (2.6 feet) and the snowdepth in snowmaking areas is 106cm (3.5 feet). 12 lifts have been in operation on most days.